A/C Name: Prime Softech Solutions Pvt. Ltd.
made for faster processing of the request. 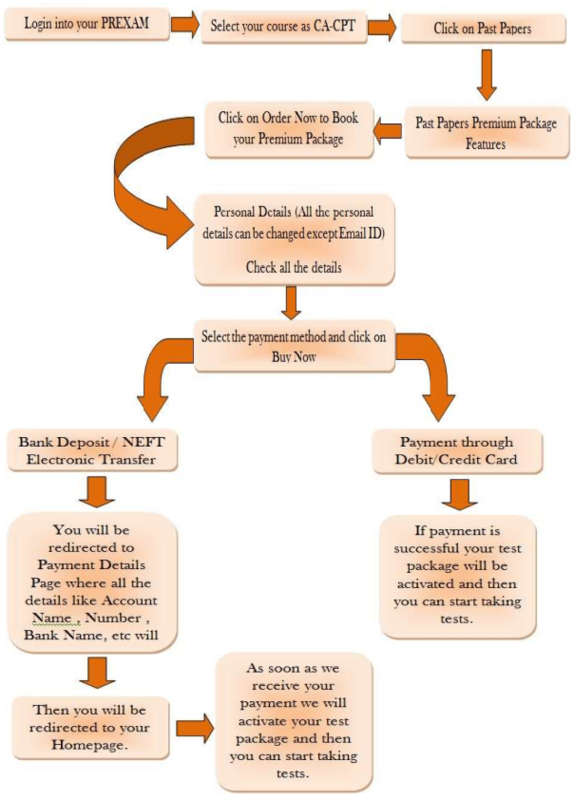 PREXAM uses PayU Payment Gateway to accept Credit Card and Debit Card Payments. 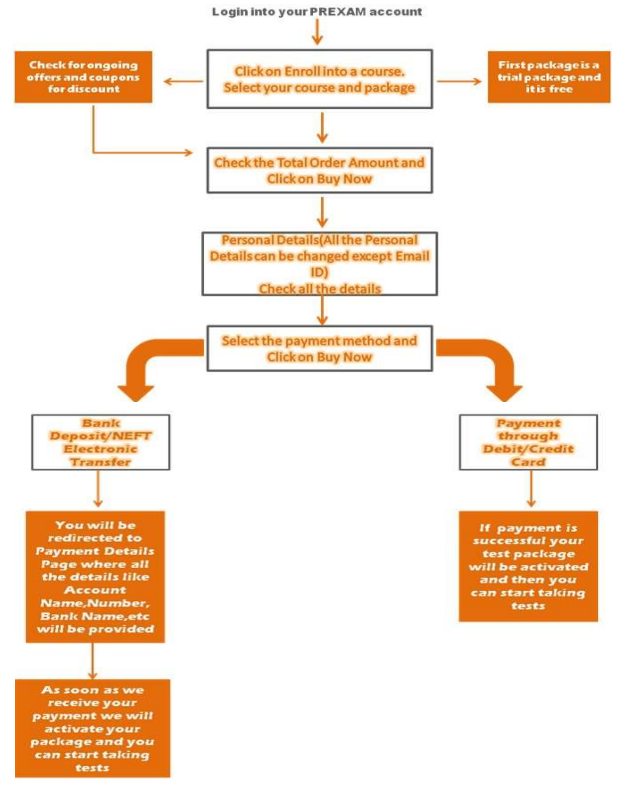 Once you make the payment, your package will be activated on successfully completing the transaction. 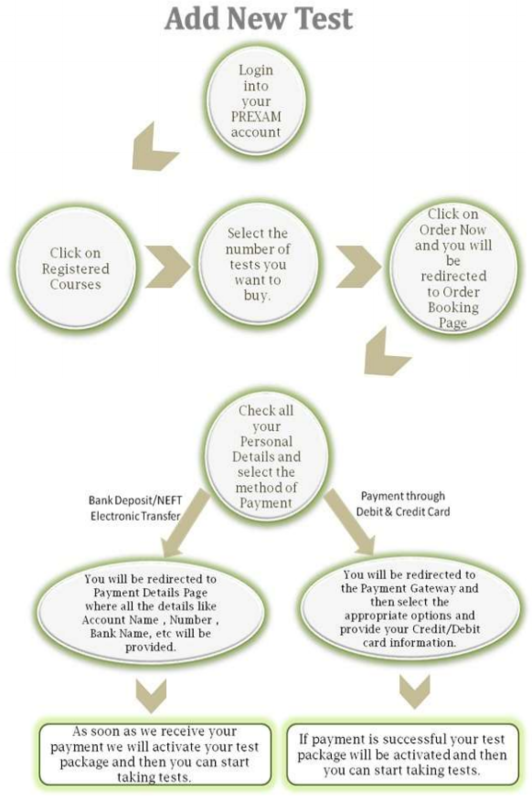 1) If you choose Bank Transfer/NEFT as mode of payment while placing the order, you can activate the booking by making payment to the given Bank Account. Failure to do so within 7 days, your order will be cancelled by the PREXAM system. 2) Once booking is activated and tests package is made accessible, we do not allow any cancellations. 1) Students are requested to buy test package as per their usage and add more tests if required. We do not make any refund for unused tests. 2) Try out the free tests and buy test package only if the free tests are working correctly on your computer. We do not refund for technical difficulty faced. 3) Students can claim refund only if changes made to PREXAM website has resulted into error in the working of the test module for the student. In this case, the unused tests would be refunded after verifying all the facts claimed are true.